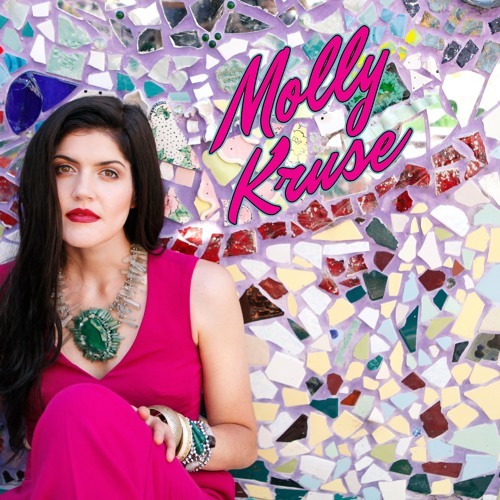 Hailing from Northern California, Molly Kruse is a Los Angeles-based singer-songwriter. She is on the brink of releasing her EP with Brandon Eugene Owens, former bassist and musical director for Lauryn Hill, and producer for Kendrick Lamar, Fergie, Lana Del Rey, and many more. She has written songs with renown film orchestrator and keyboardist, Randy Kerber(A Beautiful Mind, Titanic)but is, more often than not, the head songwriter of her projects. At its heart, Molly’s sound is pop, fusing elements of soul, classic rock, blues, folk, and jazz with traditional country storytelling and intricate harmonies. What is most noticeable in her songs is her voice, a powerful amalgam of musical influences. In addition to her vocal prowess, Molly’s writing showcases the depth of her life experience and inner emotional life. Growing up, Molly was a visceral and prolific writer, creating short novels and stories for family and friends. She parlays this penchant for storytelling into poetic, incisive lyricism. She commonly writes on themes of love (lost and found), family, friendship, pain, and the shared ironies of intimate relationships. Although her family is non-artistic, Molly’s youth was immersed in the rich, musical mecca that is the San Francisco Bay Area. With a culture so chock-full of diverse musicality, her own tastes and talents were born of this intense melting pot. Her grandfather was a cowboy at heart, who she credits with her introduction to and love of country music. Her father is an overall music fanatic, engendering in her a deep love for all styles at a young age. Her mom is a beautiful singer herself and encouraged her to begin her vocal lessons at 12 years old. Molly worked tirelessly on her voice, competing in national vocal competitions and performing lead roles in school musicals. Kruse performs regularly at locales across US. Her EP will shortly be available on various streaming platforms, in addition to on vinyl and CD.